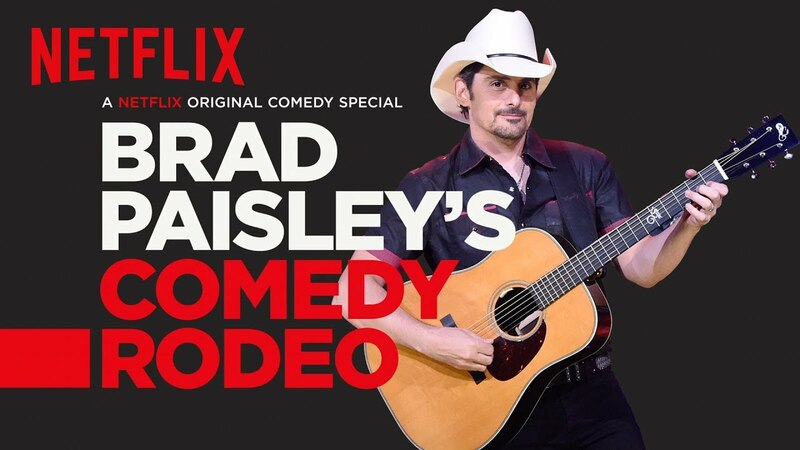 Brad Paisley and comedy? It seemed like an odd combination, but after watching it I now know that Brad is one funny guy! Brad covers topics like marriage, relationships, and selfies, and intros the other acts for the night…who while all being professional comedians, weren’t as funny as him. Brad on Beauty and the Beast: Here’s this girl having relations with this…I don’t know, a buffalo, and just because you put a jacket on it doesn’t make it ok…They should have called it Beauty and the Beastiality. I mean, where I come from, that’s…well, actually, it’s ok. I’m from West Virginia. Nate Bargatze – When I last saw him on The Standups I thought he was an absolute bore, and he did nothing here to change that opinion. Still dry, albeit slightly funnier. John Heffron – Fast paced comedy, talking about his wife and texting. Sara Tiana – Marriage, babies, and cake, she is a little cooky, but better than most of the others. Mike E. Winfield – Funniest of the group, this up-and-comer discusses Lifetime movies and fishing. Jon Reep – Good old country humor about binary code getting it on and whistling. This comedy special gets just a 6.5 out of 10 because Brad and his guitar can’t carry it on his own.